Last year, Trinseo (NYSE: TSE), a global materials solutions provider and manufacturer of plastics, latex binders and synthetic rubber, began supporting the Drug Delivery Devices market with its specialty engineered resins. The company has highlighted its materials at trade shows worldwide including MD&M West in California, Pharmapack in Paris, and the International Component Manufacturing and Design Show in Shanghai. Trinseo will be showcasing its plastic resins at Medtec Europe in Stuttgart from April 17 to 19, co-located with one of its European distributor partners VELOX in Hall 9, Booth 9E38. Typical drug delivery devices, also known as pre-filled or combination devices that can use Trinseo materials include auto injectors, insulin pens, asthma inhalers, prefilled syringes and wearable devices. The company’s specialty compounded solutions are ideal for a wide range of applications – MAGNUM™ ABS, CALIBRE™ Polycarbonate, STYRON Polystyrene, and EMERGE™ Advanced Resins for rigid plastic applications, and RAPLAN™ and MEGOL™ Thermoplastic Elastomers for soft touch and over molding needs. Trinseo is ISO 13485 certified and a trusted partner of global product designers, manufacturers and molders of medical devices. Large and global in its infrastructure yet agile in its service model, the company is known for its quality, technical knowledge, and regulatory support services, which enable customers to lower risk and take products to market sooner. As the healthcare industry continues to look for ways to enhance patient care, improve quality of life, and reduce costs, self-administered therapies are providing a viable solution. Health care providers need devices that are effective therapeutically and also are convenient, functional and aesthetically pleasing. Plastic resin materials are a big part of the solution. Trinseo, with nearly three decades of experience with medical polymers, is supporting global customers with this challenge. 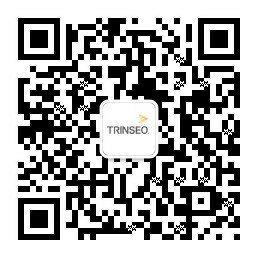 Contact Wassim Berrak to arrange a time to meet at the show or connect with Trinseo at www.trinseo.com.